Lyra Intel, my latest CRE tech startup, launched last month and since the official public announcement I've repeatedly been asked why I began this latest venture. Most industry professionals know me from my previous startups within the space, i.e. Commercial Defeasance, TCAM Asset Management, and Investor Management Services, but I also serve as the owner of a commercial property group R. J. Finlay & Co. It was the experience with the latter and specific needs around property management and investment allocation that perpetuated the concept which became Lyra. During last year's budget season, I requested information from my management team to make decisions related to capital property improvements that would meet the needs of our occupants - both multifamily residents and commercial tenants. Information of any significant value was not available. These are financially significant decisions and making them based upon gut feeling or anecdotal feedback (that may not accurately reflect true needs) has been an industry precedent for too long. I felt there must be a better way to access information to make better decisions, especially as the market is more worried about retention due to slow down and greater competition. I wanted to answer the question "how do you keep people in your properties?" I wanted a better feel for how residents and tenants are doing in the property: are they happy, engaged, and satisfied with their experience? To date, a lot of money has been spent on "top of funnel" marketing instead of retention. There has also not been another way to make money on properties unless you increase rents or decrease expenses. Lyra Intel was created as a means to address these issues and reverse this antiquated paradigm. Lyra Intel is a single solution designed to improve property performance. There is no other product or solution in the market that can increase property data quality, provide occupant segmentation, increase retention through a better occupant experience, and offer monetization of occupant activity. Lyra offers multifamily properties an unprecedented view into the demographics and behavioral activity of residents, while providing commercial office companies the tools to become truly data-driven in how they approach the leasing process. The ability to connect residents and tenants to their local community creates a better living and work experience and we’re able to leverage that data for better decision making purposes. No one else in the market is doing that. 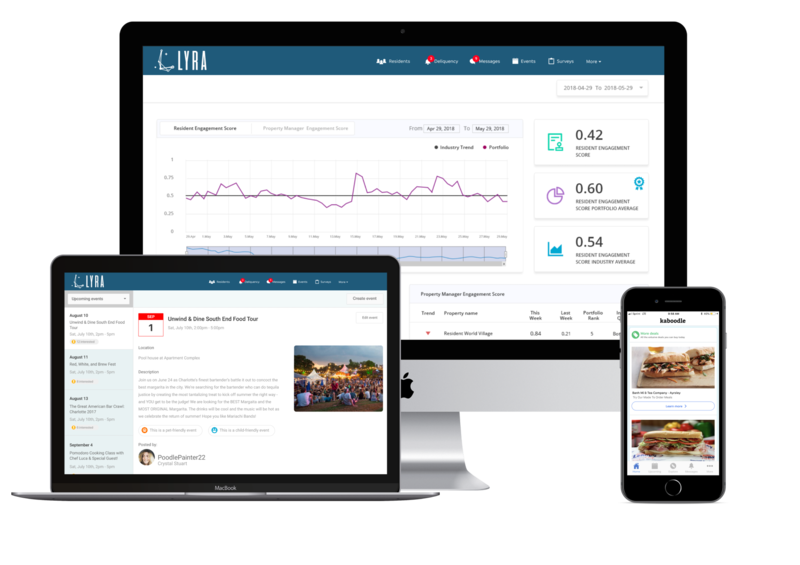 Lyra is a technology company at its core, collecting and organizing valuable information in an easily digestible manner to help property owners and managers make better decisions, faster. By designing the solution around our own needs, we've reinvented the entire process of fact finding and problem solving for properties across the market. I am very pleased with the momentum since our launch and thank each of you who have shown interest in the solution. If you are a CRE professional and enjoy learning more about the trends affecting our industry, please subscribe to our blog where you'll learn more about property data quality, data segmentation, and occupant retention and experience. Thank you. Lyra Intel is a commercial real estate business intelligence solution designed to unlock your property's revenue potential. Lyra takes the guesswork out of important property decisions by analyzing demographic and behavioral data at the industry, portfolio, property, and individual levels.